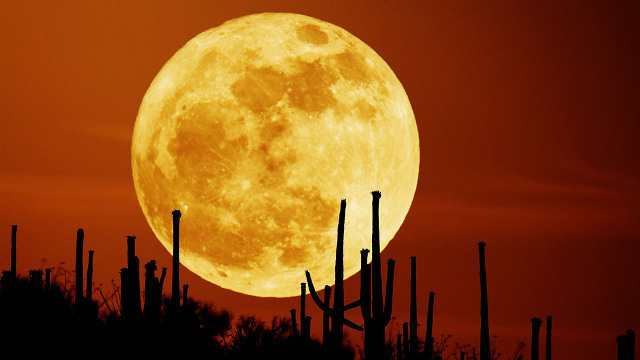 nonchalant mom: Supermoons and a super DUPER MOON! Did you see the moon on October 16th? If you didn't, you have another chance on November 14th and if you miss that you can see it again on December 14th - that's right this year ends with an amazing THREE super moons. I don't know about you but I don't remember this whole SUPER MOON thing when I was a kid, but supposedly there are 4-6 super moons a year on average. What is cool about the super moon on November 14th is that it will be the closest it's ever been in the 21st century! There won't be another super moon like this one until November 25th, 2034. What IS a super moon you ask? (because I did too) Who best to ask but NASA. There is a full article here with many images of the super moon. But they explain it pretty well: "Since the moon’s orbit is elliptical, one side (perigee) is about 30,000 miles closer to Earth than the other (apogee). The word syzygy, in addition to being useful in word games, is the scientific name for when the Earth, sun, and moon line up as the moon orbits Earth. When perigee-syzygy of the Earth-moon-sun system occurs and the moon is on the opposite side of the Earth from the sun, we get a perigee moon or more commonly, a supermoon! But that doesn't explain this super-duper moon coming in November. On November 14, it becomes full within about two hours of perigee—arguably making it an extra-super moon (or what I call super-duper). So look up in the sky at just about 8:52am EST on November 14th, that's when it's supposed to reach it's peak. During the event, on the eve of November 14th the Moon will appear up to 14 percent bigger and 30 percent brighter than an average full moon. There you go.. easily explained right? Read the full article for more information. And watch the moon on November 14th and December 14th of this year. And now that you are so into the moon and it's mystical beauty. Check out our moon workbook by Modern Woman, where you can learn to set intentions for yourself and use the power of the moon in your intention setting. You will be easily walked through all the details in the book, she even gives you ideas on what kind of intentions to set. We are all sold out of workbooks for the 2016 year but we will have new workbooks for the coming year (2017) in December. They go fast so let me know if you want me to hang onto one for you, just drop me an email. There are many beautiful pictures of the super moon, have you ever tried to take one yourself? Not easy, so I borrowed this one from the NASA website. I love it because it's the in the desert.... I will try to get one over the ocean this time! ?